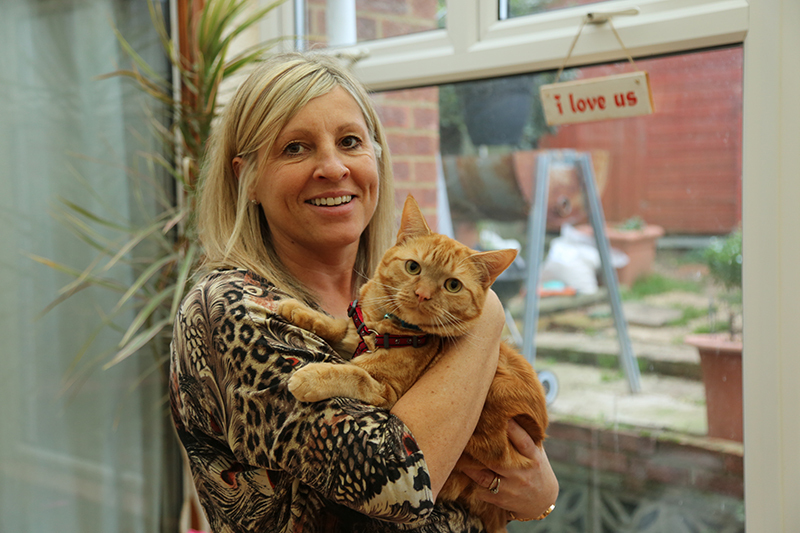 Receptionist Ruth and her husband Chris bring in their rescued 2 year old 3 legged cat Jersey, whose back leg was amputated at Ruth’s practice when he was just a kitten after being found abandoned with a severely broken leg. They have a house full of rescued animals, but timid Jersey has a special place in Ruth’s heart. 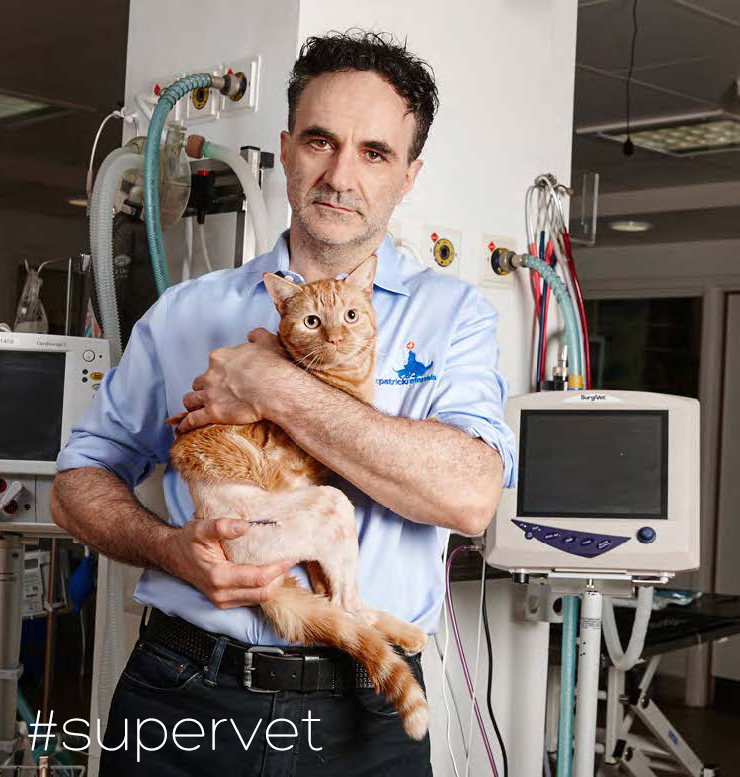 Jersey has started to struggle with his remaining back leg, so Ruth and Chris have brought him to Professor Noel Fitzpatrick to see what can be done for him. Noel suspects that Jersey has a dislocated knee cap, which could be potentially solved with a straightforward operation to improve the movement within the remaining back leg. However, pre-op imaging reveals that Jersey also has another problem. Jersey has bad arthritis in his hind hip, which will continue to deteriorate without intervention and is causing significant pain. Jersey needs a Total Hip Replacement, but to Noel’s knowledge this has never been done on a 3 legged cat before. Ruth faces the difficult decision, to either go without the hip replacement and see his condition get worse over time or go ahead with it not knowing whether the operation will work. 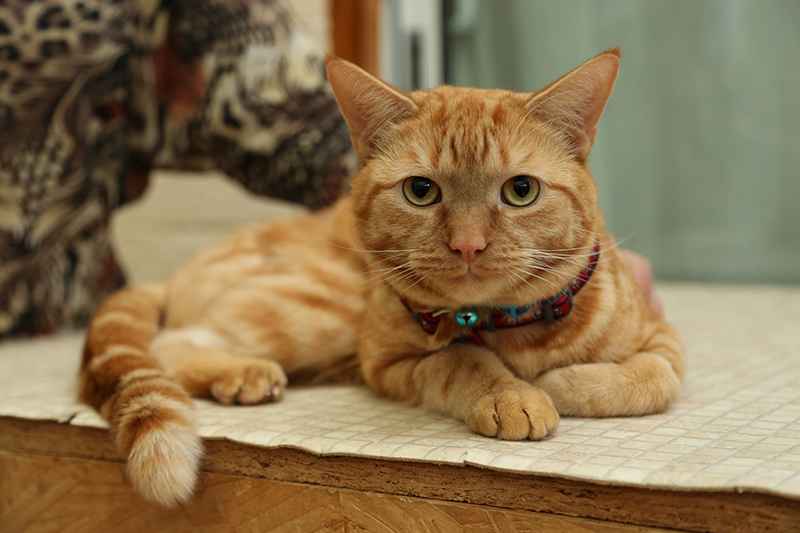 The couple decide that the chance to give Jersey a shot at a good quality of life on his remaining three legs is worth it – and Noel goes ahead with the advanced procedure. Jersey is the first three legged cat that we are aware of (we can’t find anything else in literature) to receive a hip replacement on the one remaining back leg. Jersey’s operation is very different to normal total hip replacements in cats as naturally, Jersey uses his remaining leg differently to other cats. Jersey places his leg more towards the centre of his body to balance himself on three legs and so the placement of the implants must account for this, even the tiniest incorrect angle of the cup placement could cause his hip to pop out. It’s a nail-biting surgery, but Noel and the team make it through successfully. A week later and Jersey is getting stronger every day. Jersey is able to go home with a few physio exercises and strict rest while he heals. 6 weeks after the operation Noel also recommends a course of hydrotherapy, so unfortunately for Jersey, getting his muscles stronger means getting wet! His perseverance and tolerance of his rehabilitation pays off, and 3 months later Jersey is thriving at home, and Ruth is thankful every day that her friend is living a happy healthy life.